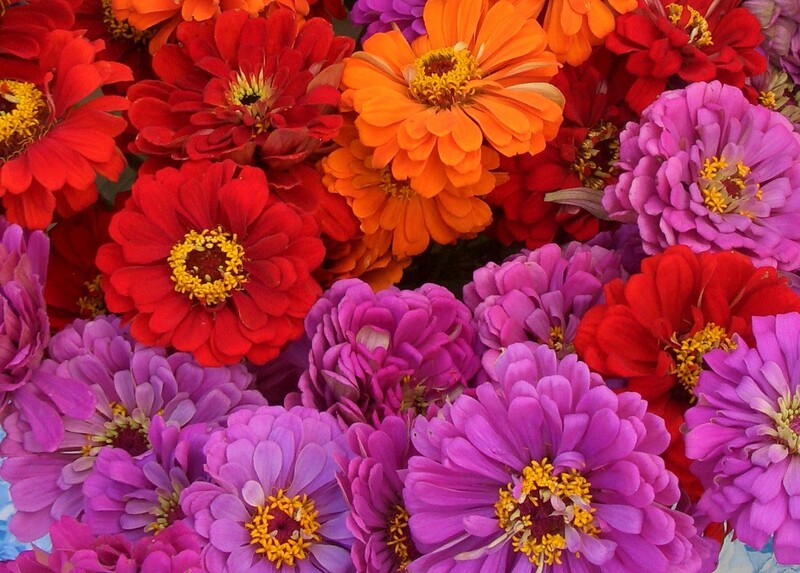 At the farmers market, the last of the zinnias stand in buckets---great masses of intense colors that symbolize the heat and sunshine of summer. According to the calendar, summer has ended. We continue to be visited by runs of sweltering weather, but plants and animals know that the days are getting shorter. Flowers bloom, determined to set seed. Birds and squirrels go about their preparations for the cold, and dark to come. 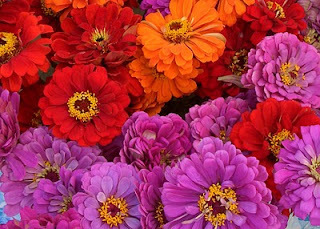 I look at the zinnias and can imagine nothing but sunshine.